Prized livestock on show (photo: Steve Madgwick). Wander around Bourail and be taken away by the awe of nature. 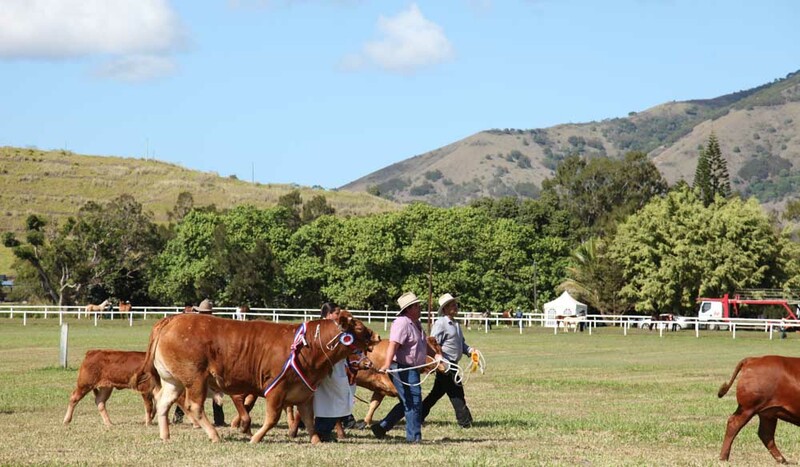 Plan your visit for November to take in the action of the annual beef festival, or Fête de Boeuf, which takes place at Paita, just a 20 minute drive from downtown Noumea. Do a farm stay at the La Petite Ferme (The Small Farm). Enjoy lots of New Caledonia-raised beef to taste test at the Bourail Fair. Caldoche cowboys and cowgirls gather at the Bourail fair, an important event in New Caledonia (photo: PierreAlan Pantz). 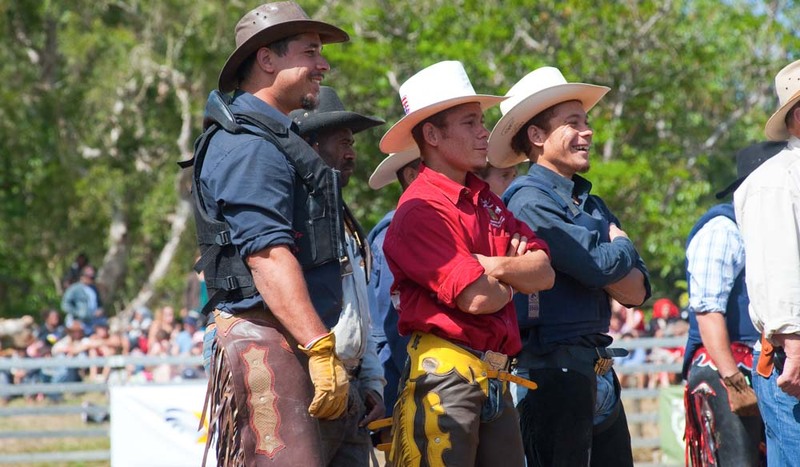 Chaps-wearing New Caledonian cowboys enjoy the action (photo: Steve Madgwick). Wine and dine in the beautiful Hippocampe Restaurant Le Meridien Noumea, New Caledonia. In a South Pacific island paradise, Steve Madgwick eschews sun, sea and sand for bucking broncos, shotgun blasts and French-kissing cowboys. Judging by the muscles that stretch his gingham shirt to breaking point, the greeting I am about to get from the weather-worn cowboy in front of me could possibly render my hand inoperable for a decade. Yet he accepts it almost tenderly and draws me towards him. His sun-desiccated lips pucker from beyond his half-past-seven o’clock shadow and delicately brush my left cheek, then my right. Locked in a nuanced New Caledonian Marlboro-Man-Mountain hug, over his shoulder I can see a townhouse-sized The Simpsons bouncy castle spewing kids from Bart’s open mouth. This greeting is certainly no affectation for the few foreign tourists among the 20,000 people at the Bourail Fair over its three days. Gallic customs like this are integral to Caldoche culture (locally born French settlers). Anyhow, cowboys and cowgirls around these parts don’t do affectations; you don’t need to when you wrestle steers to the ground for a living. Bourail (population 5500) is a couple of hours’ drive north-west of New Caledonia’s capital, Noumea; a country-and-western style twist to the island territory’s reefs and beaches. The (39th annual) fair is a hybrid laissez-faire agricultural show and Calgary Stampede-esque rodeo that takes over a racecourse on the floor of the Téné hippodrome. New Caledonia’s original occupants, the Kanak people, are in attendance, selling fruits and crafts from markets stalls; but this is unquestionably a Caldoche affair. A “ready, set, go” in English (rather than French) starts the axe-throwing competition and the occasional Australian twang from the rodeo’s officialdom shows that this is no backwater either. 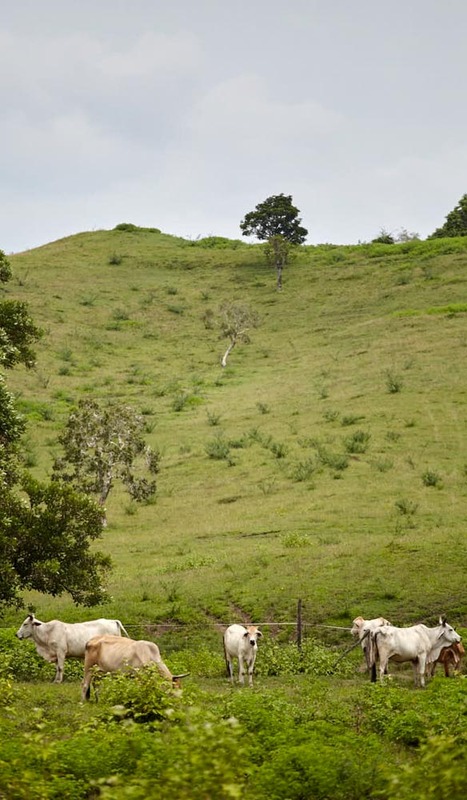 The community’s finest gather at Bourail: rhinestone cowgirls and men in lab coats parade New Caledonia’s star canines, ponies and Charolais bulls of gargantuan girth. An overhead drone spooks a festooned white horse. It pirouettes in fright, then recalibrates. The fruit and vegie displays feature pregnant vanilla pods and gnarled purple yams instead of the usual giant pumpkins. On the stalls, French-Melanesian fusion food – achard (pickled vegetables) and confit, heroed by Pacific produce like pawpaw and bamboo – is snapped up. Alongside, hunting knives, unsubtle cowboy hats and knock-off T-shirts keep the men’s attention. The filing crowd bottlenecks at Kanak wood carvers, who fashion totem poles in their ancestors’ image – warriors sporting slingshots. Shotgun blasts intermittently steal people’s attention, but by mid-morning the clay pigeon shooting stall is just the barely heard percussion section for Bourail’s most raucous day of the year. New Cal’s afternoon sun brings the testosterone to the boil. In sideshow alley, near giant Bart, young Kanak men hang around the test-your-strength punching bag. A big lad with short dreads lands a roundhouse kick that sounds like the smash of a bass drum. The bag is lucky not to be in orbit. Nearby, tractors and dangerous-looking stock cars idle around, piloted by restless late-teens with mischief on their minds. 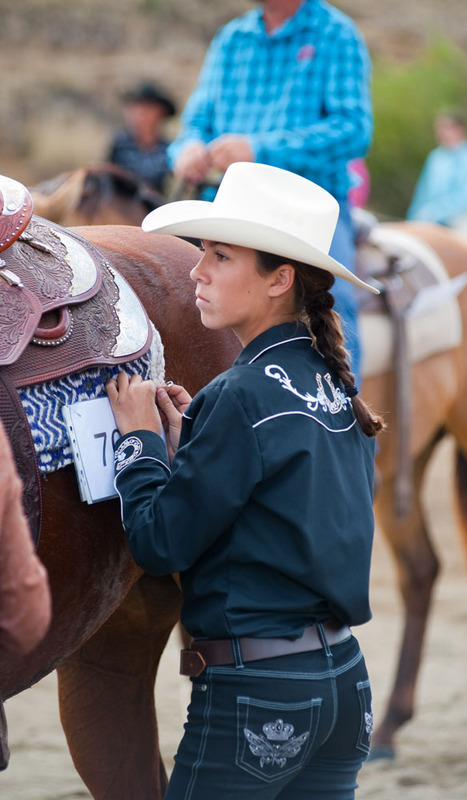 The stockman’s race rivals the upcoming rodeo for its barely regulated peril. 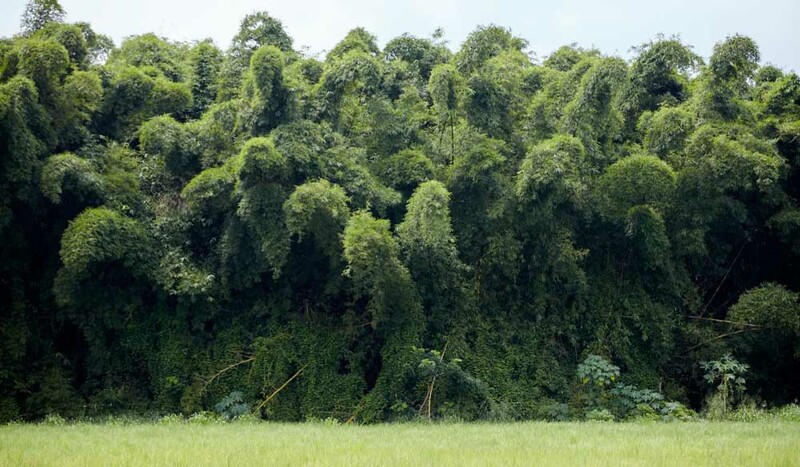 Ten horses gallop full pelt around a curvaceous course marked by barrels in the grassy hills; the jockeys’ protective gear preposterously inadequate. A rogue horse that’s thrown its rider careens the wrong way towards the charging pack, missing the leader by half a nose. Later, the stand-by ambulance is called into action: nothing broken… this time. Bourail local Cindy Baronnet proves that gallons of testosterone aren’t a prerequisite to entry here. The former policewoman and two-time Miss New Caledonia winner rounds up cattle on horseback just like the boys. She’s not riding at the moment though; a ballistic cow recently tried to trample her to death. Her partner Marc Levy had to dive in headfirst to help, just like a country music love song. At lunch, Cindy explains the convoluted rules of the upcoming rodeo while heaping her plate with rich yellow coconut stew, mounds of meat and crusty white rolls. Normal-sized plates are too small for the average Bouraillais; it’s a running gag. By late afternoon, the mass flows into the amphitheatre-like rodeo arena. Miss Bourail Fair executes an exaggerated regal wave from the back of her horse while Kenny Rogers’ The Gambler blasts out, followed by down-home fiddle-heavy tunes. The dust congeals from the earnest opening ceremony; some of the riders intermittently spit into the sand. The teams sport gaudy jerseys that are more West Virginia than Melanesia. The bulldogging begins (wrestling a steer after jumping off your horse), but no one nails it today. Crowd participation here is hands-on. First, all the kids are summoned into the arena. A piglet is released and hundreds of youngsters crash into each other trying to tackle it. In the chaos, it escapes through the fence (yet it’s still destined for the barbecue). Next up is Tino Lecren. He’s dressed like an outlaw, and the local legend pilfers the show with his showmanship. He stays on the bronco until the end, making sure of the spectacle. The fawning crowd demands a trademark somersault; the 60-year-old executes a comical forward roll instead. The crowd finds a shortcut back to the carpark at the end of the day’s proceedings. A cowboy holds apart a rusty barbed-wire fence for everyone to scamper through. After the kiss hello, this seems a fitting exit. The Bourail Fair takes place annually in mid-August. Aircalin flies 12 times a week non-stop to Noumea from Sydney, Melbourne and Brisbane. We stayed at the Sheraton New Caledonia Deva Resort & Spa. When the dust settles on the spectacle of the annual Bourail Fair, there are five ways to sample the results of New Caledonia’s farming traditions. 1. 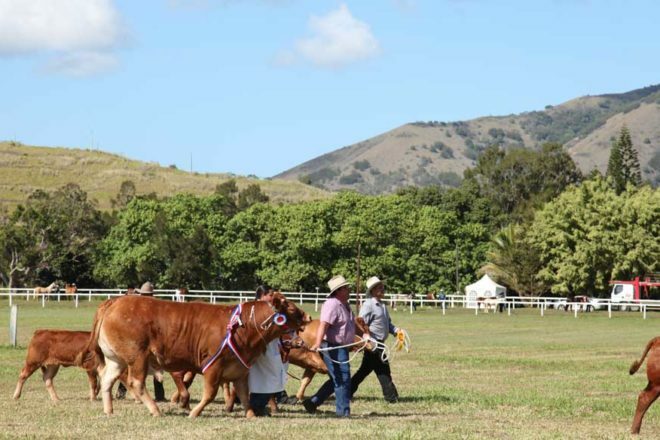 Plan your visit for November to take in the action of the annual beef festival, or Fête de Boeuf, which takes place at Paita, just a 20 minute drive from downtown Noumea. You can expect more of the same spectacle as Bourail, with lots of New Caledonia-raised beef to taste test as well. 2. 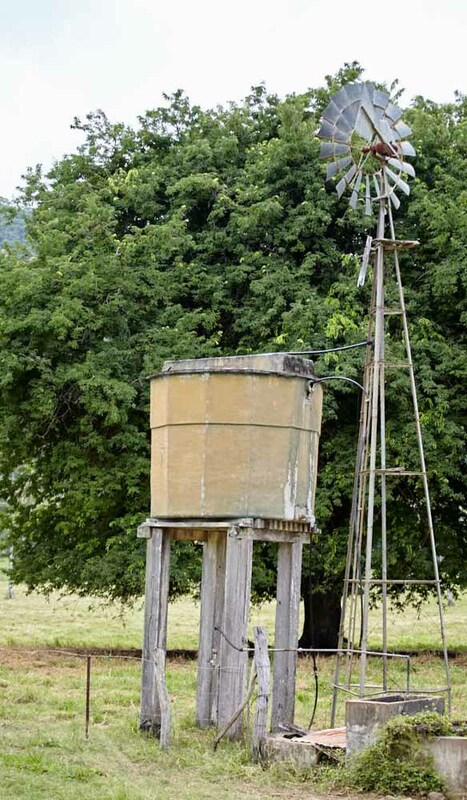 Do a farm stay: La Petite Ferme (The Small Farm) is a 34-hectare working farm owned by Jean-Louis and Annick Bouvier offering accommodation and home-cooked, farm-fresh cuisine. 3. Do some classic French brasserie dining: choose the beef carpaccio starter at La Pirogue in the Chateau Royal Beach Resort & Spa; elbow your way to a table in the always crowded Chez Toto in Noumea’s Latin Quarter for classic steak and frites; or sit under palm trees in a verdant garden setting at the hugely popular La Fare du Palm Beach and order the minced beef and frites. 4. 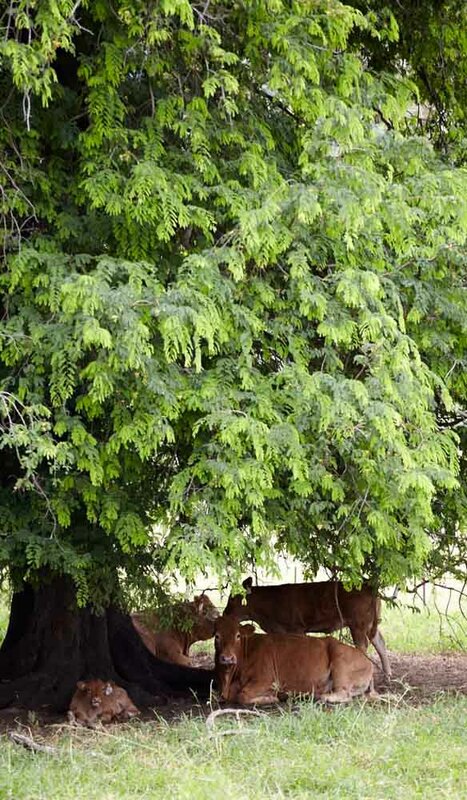 Venison is another staple in the New Caledonian diet; rusa deer were apparently introduced to New Caledonia in 1870 when the governor of Java presented a gift of a number of animals to the wife of the local governor, and the population grew rapidly. 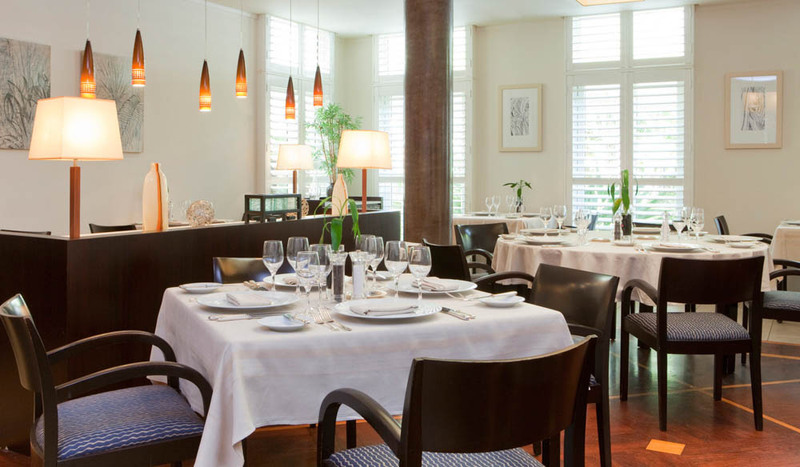 Book a table at L’Hippocampe at Le Méridien in Noumea and try the local venison starter, or dine on carpaccio of deer over the water at the Le Roof. 5. Sample fresh local produce at Le Marché de la Moselle, held every morning until 11.30am (except Monday). This is where Noumeans come to shop and chat as fishermen unload their catch, fruit and vegetable producers replenish their stock and butchers carve thick cuts of local meats. Is this the ultimate girls’ getaway experience in New Caledonia?